2. Here are some sample tweets, but feel free to craft your own. Just be sure to use the #TIPReport and download one of the image below to use with your tweet. To download the image, just right-click and select "save image as...". Slavery is undeniable. 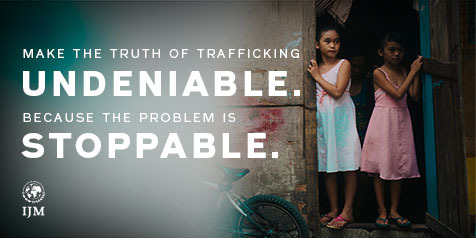 @SENATORNAME, please protect the integrity of the #TIPReport + funding that rescues slaves & stops traffickers. Slavery is stoppable, @SENATORNAME. We need you to protect the integrity of the #TIPReport + programs that rescue slaves & stop traffickers. Take the next step and use our simple template to write a Letter to your Editor, raising the profile of this issue within your local community.